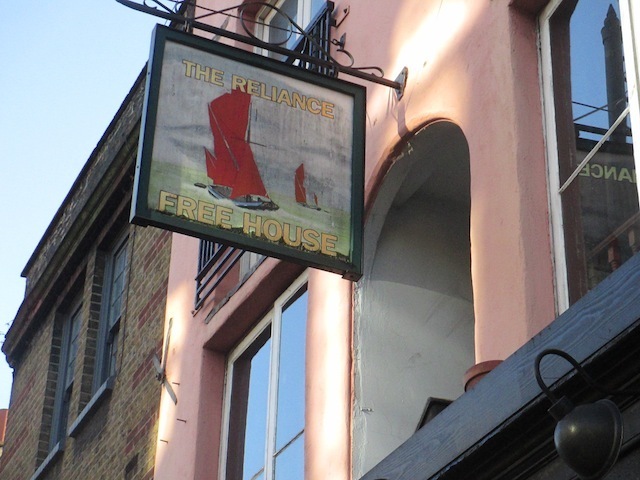 The Reliance isn't quite the nearest pub to Londonist Towers, but we still regard it as our local. 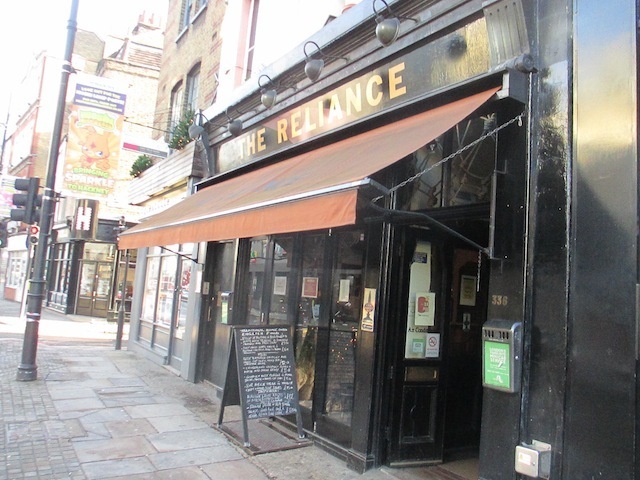 The charming dark-wood interior and friendly service are one thing, but the clincher that sees us return time and again is that it's the only bar in the area where you can get seats at 6pm on a Friday. Head upstairs, and there's usually a table or two free. If you're really lucky, you'll claim one of the window seats on the raised area at the front. Downstairs is a more crowded affair that still has its charms if you can grab one of the cosy back tables. The beer selection is fairly limited, with a bit more choice for fans of posh lager. The food menu offers mostly British classics. 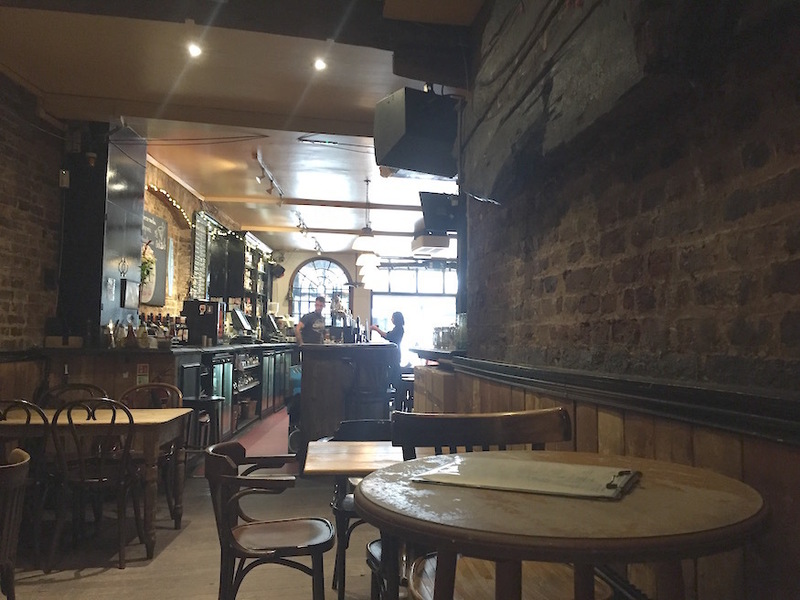 The pub is united in brown livery with the nearby Barley Mow, both part of the Remarkable chain.